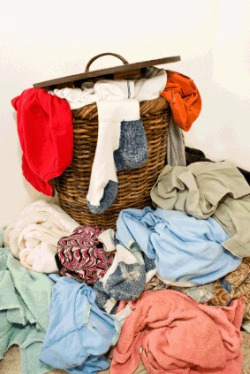 Are your laundry baskets empty, but dirty clothes are strewn all over the house? 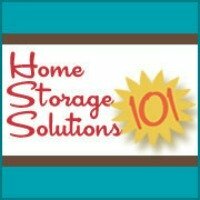 Is it impossible for you to figure out what clothes are clean versus which ones are dirty in your child's room, or your own, because your laundry hamper is overflowing, or the clothes never made it in there in the first place? An important first step in how to do laundry is to gather the dirty clothes in a dirty clothes hamper. Should I Have Laundry Baskets In Every Bedroom? There are two schools of thought regarding gathering your family's dirty clothes. The first is to give each person their own laundry basket to put their clothes in, along with additional laundry hampers for the family's towels, sheets, bedding, and dish rags. For the reasons I will explain in a moment, this system works best for adults and families with older children. The second is to gather all the dirty laundry into one or two central locations, but not have hampers in every bedroom. This alternative is ideal for families with small children. However, there is no right or wrong way to do this, and the right solution for your family depends on what works best for you. Having laundry hampers in every bedroom is ideal for families in which each family members' clothing is washed individually, such as when each family member is responsible for washing their own clothes. That is one of the big reasons that hampers in every bedroom is good for families with older children. Another advantage of having a laundry basket in every bedroom is that it increases the possibility that each family member will put their clothes in the dirty clothes hamper. It is, after all, easier to throw your clothes into the laundry hamper if it is located right where you are taking off your dirty clothes. When your household has young children, however, having laundry baskets in every room just makes more work for you. The reason for this is because very young children (under the age of 10 or so) cannot do all the steps required in the laundry process on their own, at least not without supervision. Therefore, an adult will have to help anyway, and having less laundry hampers to deal with is less work for you. I suggest the main dirty laundry hamper for everyone be in the parent's room, but any location in your house which works with your family's routines is fine. When you just have a few laundry hampers it is easier to identify when there is enough accumulated in the laundry baskets for a load of laundry. In addition, when one person is doing the laundry there is generally not a good reason to separate out each person's laundry to do individually, so some of each person's clothes will get thrown into each load anyway. You might as well just put it all together in the dirty clothes hamper too. Finally, small children need help getting undressed so there is not much additional work in then assisting them in taking their clothes to the dirty laundry hamper afterward, even if that is in a different room. An added bonus to this is it helps instill the habit of putting clothes in the laundry basket into your child. Dirty laundry not only comes in the form of dirty clothes, but there are additional sources, such as bedding, sheets, towels, and dishrags. Put a small laundry basket in an area close to your kitchen sink to collect all the dirty dishrags you accumulate. Do not, however, throw these damp cloths all on top of each other into the laundry basket, or you may end up with a stinky mildewed pile of rags. Instead, train everyone in your family to hang these damp cloths on the side of the basket until they dry, and then place them in the basket afterward. As for sheets and bedding, you may not need laundry hampers for these items at all. If you are following a weekly house cleaning schedule and laundry schedule then you may take these off the beds and wash them all on the same day. Finally, neither dirty towels nor dirty clothes should be stored in a dirty clothes hamper in the bathroom. The reason for this is that bathrooms are a steamy, damp location in your home. Placing dirty laundry in the bathroom will increase the chances of it getting mildewed or sour before laundry day, which can stain and ruin your laundry. Instead, just as with damp dishrags, train your family to hang up their towels after each use. If you use the towels all week before you wash them, you can collect them on the day of the week you have scheduled for washing towels and just put them right in the washer. If you don't like to use your towels that long before washing them, just wait until they have dried before placing them into a laundry basket to await washing when scheduled. See the next part in the How to Do Laundry Series: Sort Laundry for the next part of the laundry cycle.